The Edge+ Sensor uses the state of the art ultrasound & infrared tracking technology and provides connectivity options ranging from USB to wireless data transfer. A single 3-hour charge provides 8 hours of continuous use. The onboard 4GB memory is more than enough to cater all one’s storage needs. Edge+ LCD/LED Display Bracket is a handy tool to make sure that the LCD/LED stays safe and mounted properly to provide an easy access to interact with it. Comes with a 2-year general warranty (may be different in specific countries). 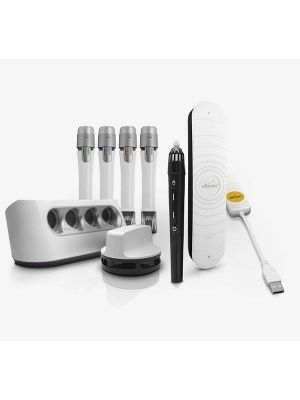 The eBeam Edge+ USB is the most advanced interactive whiteboarding product on the market. 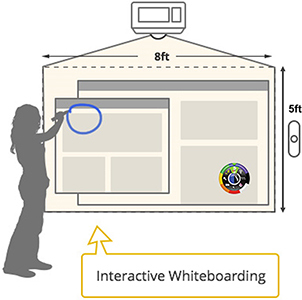 With a maximum capture area of 16ft x 5ft, the Edge+ wireless gives the largest interactive area on the market. Collaborate with remote participants anywhere in the world using the meeting feature or connecting with Equil Note Stream, adding interactivity to everything. 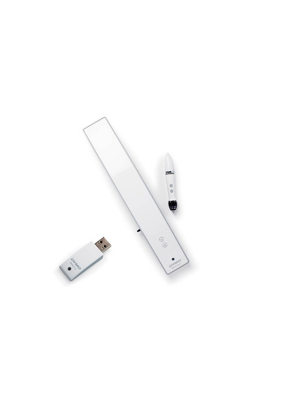 The eBeam Edge+ USB’s extremely small size makes it very portable to Take it and go! It’s easy to use anywhere and on just about any flat surface. The eBeam Edge+ USB’s low cost enables the user to get quick returns on investment making it a trustworthy investment that not only sustains its own cost but propels the user’s productivity sky high. 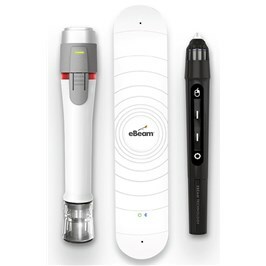 The eBeam+ USB interactive system is a must for anyone that desires to beat the competition and move ahead in this tech infused centaury. The Edge+ Interactive System comes with a powerful battery that allows it to remain operational for longer time period. It features state of the art connectivity system that is backed by Bluetooth technology and also has a direct USB connection. With the eBeam Edge+, distance is nothing to worry about. Even if you are on different corners of the world, the eBeam Edge+ works as if you are in the same room. 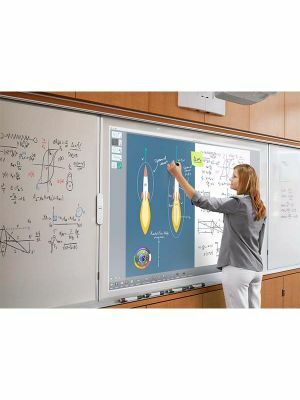 The Interactive System boasts compatibility with all the contemporary operating systems and also come with the ability of connecting with mobiles and Tablets. The powerful battery can continuously work for more than 15 hours and charges in a short time of 90 minutes. 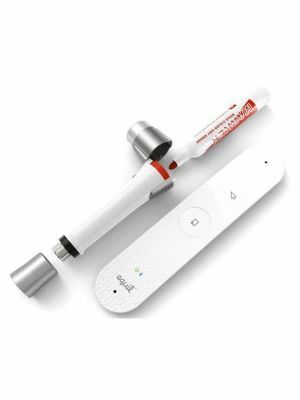 The eBeam Edge+ provides an 8ft x 5ft capture area.With the Marker Sleeve accessory; you can also capture physical whiteboarding on the opposite side of the sensor. The Edge+ Stylus can work for a month on a single charge. It also features buttons for convenient and efficient functionality. 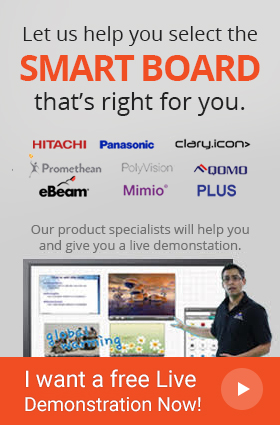 Q: Can eBeam Edge+ USB Interactive System be used wirelessly? A: Yes! eBeam Edge+ USB Interactive System can be operated through both a direct USB connection as well as Bluetooth technology for more user ease. Q: How is the user supposed to set up the eBeam Edge+ USB Interactive System? A: The setting up process is an entirely uncomplicated procedure which only requires the user to place eBeam Edge+ USB Interactive System on the far right/left the side of the projected image within a distance of 2”. It should, however, be ensured that the receiver is centered vertically and is parallel to the device. Q: What do the lights emitting out of the LED ring surrounding the center button indicate? A: A green light is supposed to show that the eBeam Edge+ USB Interactive System is connected to a computer via USB cable while the blue glow is to show that the connection has been established through Bluetooth technology. 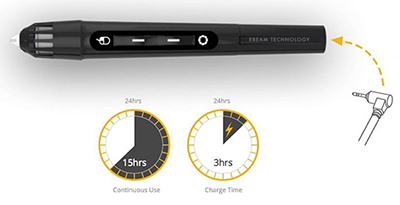 Q: How long can eBeam Edge+ USB Interactive System stay operational on a single charge? A: eBeam Edge+ USB Interactive System is estimated to last around 15 hours despite continuous usage! Q: Does eBeam Edge+ USB Interactive System come with a warranty?